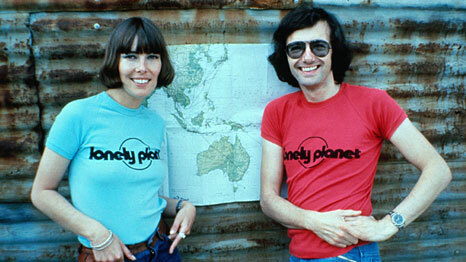 The founders of Lonely Planet, Tony and Maureen. ‘Responsible travel’ means assessing our impact on the environment and local cultures and economies – and acting to make that impact as positive as possible. We’re including more information in our guidebooks and on this website on how you can personally travel more responsibly. 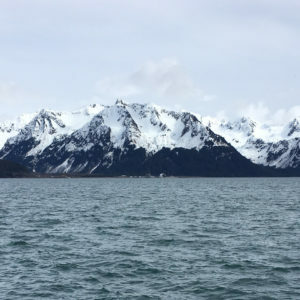 In the WAYK community, we think a lot about this – the relationship between guest and host, traveler and resident, learner and fluent speaker of an endangered language. Many dying languages, and struggling communities, are very well documented, in writing, photographs, and video, and yet if help stops there it has done them little good – without inter-generational transmission, without community esteem for the language (and culture), without retaining traditional identity and sense of place in the face of colonizing forces and global corporate culture – their decline, slow for some, rapid for others, continues. How do we continue to change the relationship between traveling guest and host community, so that visitors to communities who are struggling economically, culturally, and linguistically, make greater and greater positive impacts as the years pass? In the work of endangered language revitalization, we had to solve this early on. We needed an answer. Learning an endangered language for your own benefit, without contributing to the language community, can speed its decline. Fluent speakers’ time spent interacting with you, rather than invested community members, is wasted, unless you can give back and support the vitalization of conversational life. This means every new learner must also immediately become a new teacher, able to “teach-off” to others what they know. In addressing this issue, a new kind of language learner emerged, the language hunter, a natural result of applying all these understandings, techniques, and accelerated language learning/teaching skills through play. 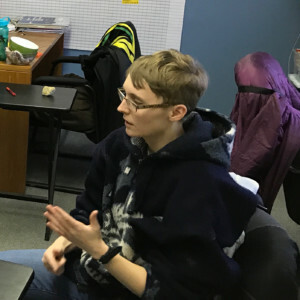 A language hunter is a person skilled enough in WAYK game play that they can learn (and teach) any language through casual conversations with fluent speakers and other learners. The more skill, the greater the community-wide impact. 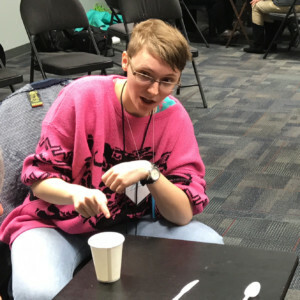 A language hunter doesn’t just “take” language, they vitalize it, with play and conversation, including as many people in on the fun as possible. This means as language hunters travel the world, not only can they offer the courtesy of addressing hosts in the local language due to their accelerated ability to learn, but for all languages, both struggling and successful, they contribute to the overall vitality of the speech community due to how they interact with other speakers. 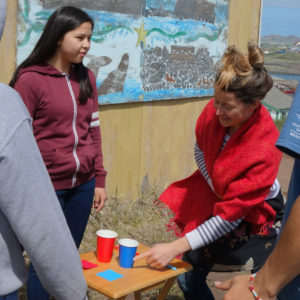 We’ve seen the spirit of the WAYK game, and language hunting, completely rewire negative attitudes toward the target language, since now the relationship has become about play with each other and a respectful, engaged visitor. Then, due to the techniques of accelerated learning and rapid success, the infectiousness of fun and conversation take over. Children and teens pick up the game and begin to play with each other. Adults see and remember the joy of their language, and its connection to family and home. For us, this is true responsible travel – not just an economic boost, but the vitalization of personal relationships, respect for other cultures and languages, and a sharing of grassroots ways for making the world a better place.